The Vásárhely Health Programme (EVP) of the CSMEK Hódmezővásárhely-Makó, Hódmezővásárhely has submitted a tender together with the Dr.Bugyi István Hospital of Csongrád County, Szentes and the Vasile Goldis University, Arad for European Union financial sources. Their aim is to make the fight against breast-cancer more effective in the Hungarian region as well as across the border in Romania, thus with new and proper infrastructure, the affected women can be reached more easily. Breast cancer is one of the most common lethal cancer types: according to estimations if the current trend does not change, in the next 25 years more than 25 million women can be diagnosed with this type of disease worldwide and more than 10 million cases will prove to be fatal. In Hungary, more than 2000 women die because of breast cancer in a year: we lose 5 mothers, wives or daughters due to this merciless disease in a day; one woman in every five hours. This is an extremely high number considering that with early diagnosis breast cancer is curable. To make early diagnosis possible and to fight effectively against breast cancer, proper infrastructure is needed as well as women to attend screenings regularly. 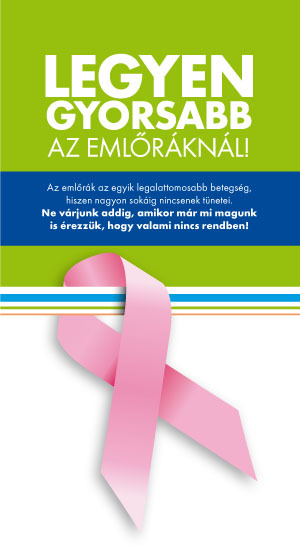 The main objective of the project is to decrease the mortality rate due to breast cancer in the regions near the border (subregion of Hódmezővásárhely, Szentes and Arad). The three centres are determined to reach this goal through joint professional and organizational directives, thus increasing the ratio of participation at the mammography screenings, which contributes to early diagnosis and treatment, reducing the former mentioned mortality rate.